Traded Travis Scott’s for these and threw in these distressed leather laces. Far happier with these than travs. kingsin, lakeshoredr, bruce bruce and 6 others like this. Today was a good day. These came in and hit on snkrs for prestos. Anybody in here distressed theirs? Pics please. Jordan4Addict, kingsin, JustSid and 1 other person like this. Goodness, those leather laces really work with the Levis. Cant wait to get mine in tomorrow. Where did you cop the distressed leather laces homeboy? 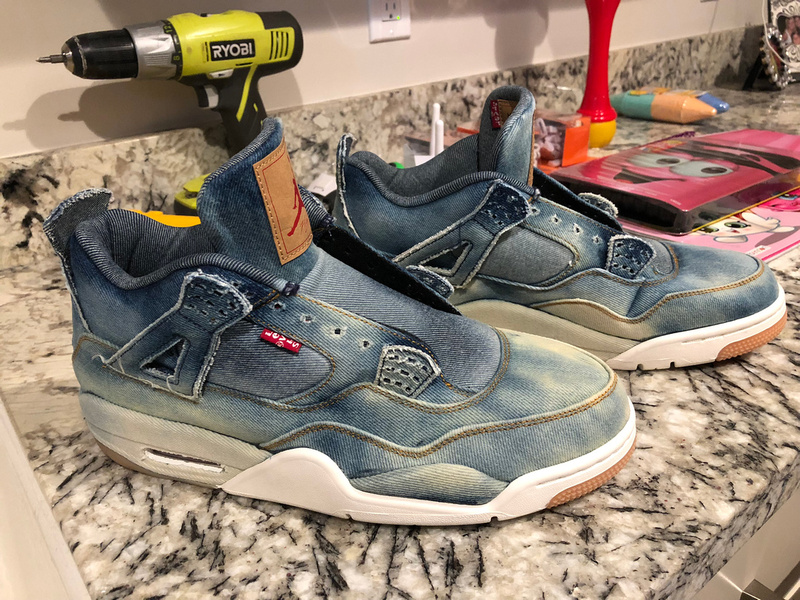 Not finished yet, but here's a little update on my custom Levi's. Not sure I even needed to tape but just wanted to be safe. 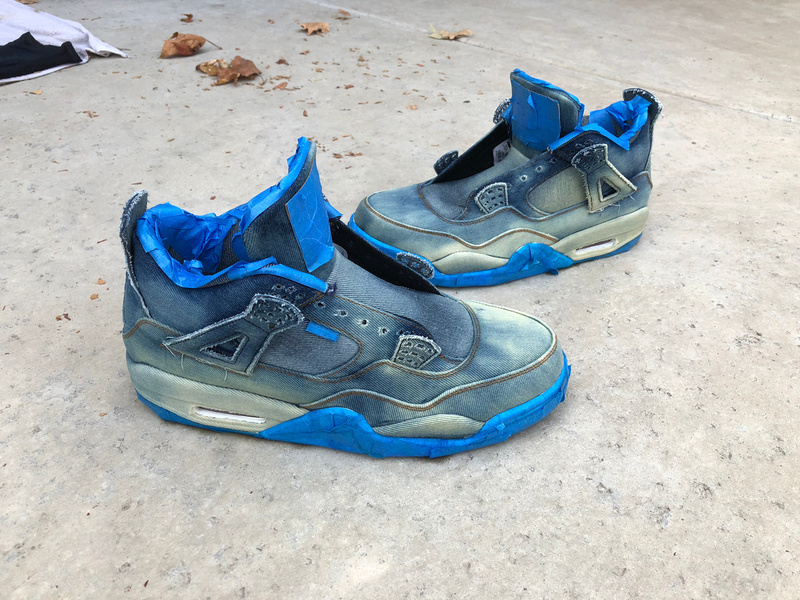 I wasn't a huge fan of the super distressed or worn look, so just wanted to try and keep them clean and change the color a bit. 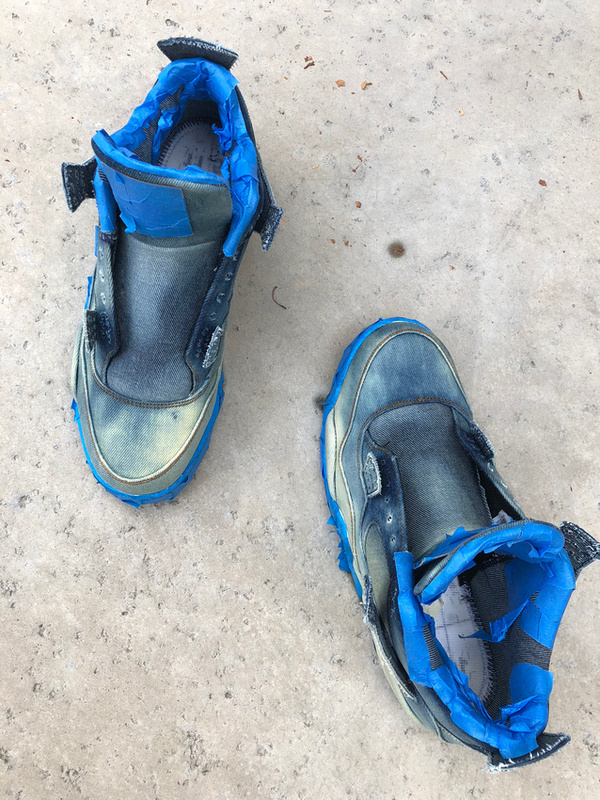 You can see the bleach starting to slowly take affect on the first shoe.. Pretty happy with the outcome and color. 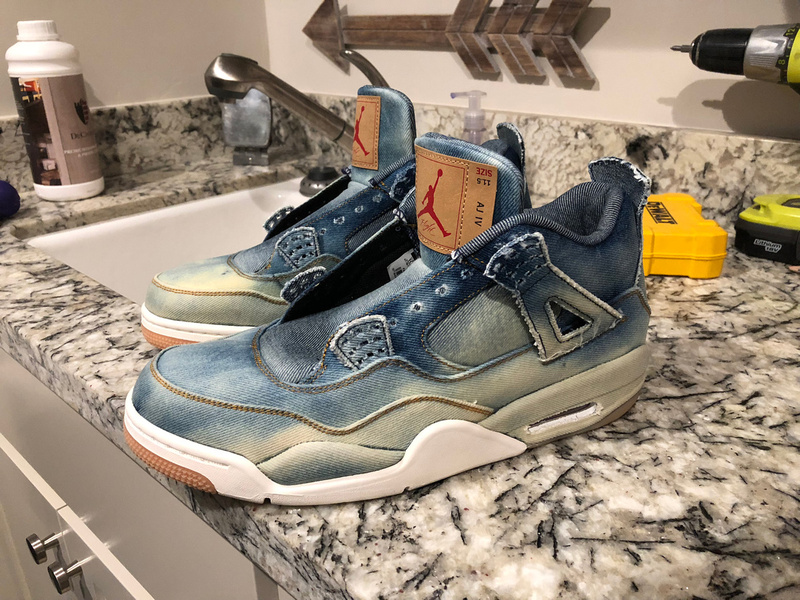 Might go over some of the "yellowish" spots one more time with a little bleach like the right toe box area. 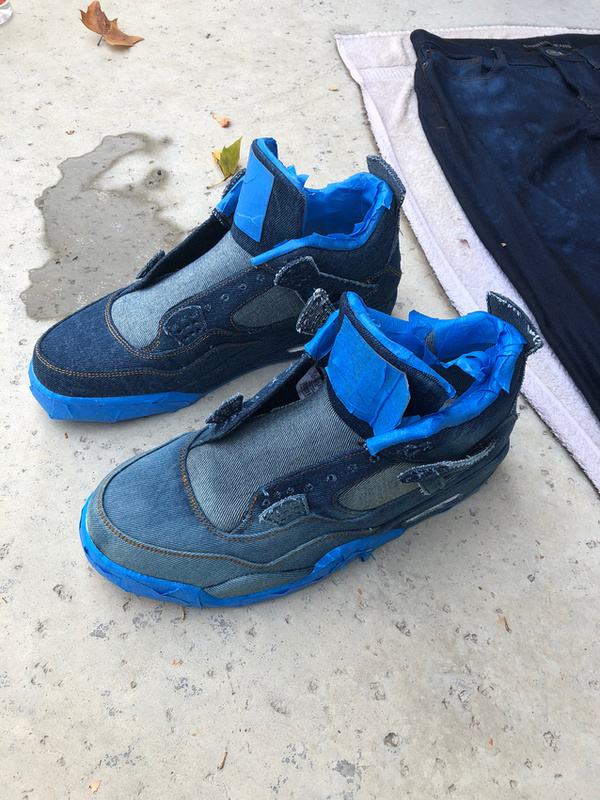 Koncrete Kickz, Al Anastasia, tydurden377 and 16 others like this. ercgsx55, cucumbercool, riverdale road and 6 others like this. What steps did you take after the bleach? Did you have to clean the upper from the bleach or did you just let it dry? I’m assuming you have to neutralize it somehow. Also did you dilute the bleach with water before you used it? Mailman came through. Really wanted the Black Levis and caught the Jeters as well. puffin85, JustSid, d dot 23 and 1 other person like this. tezz016gmail, tyisny, b000ster and 7 others like this. 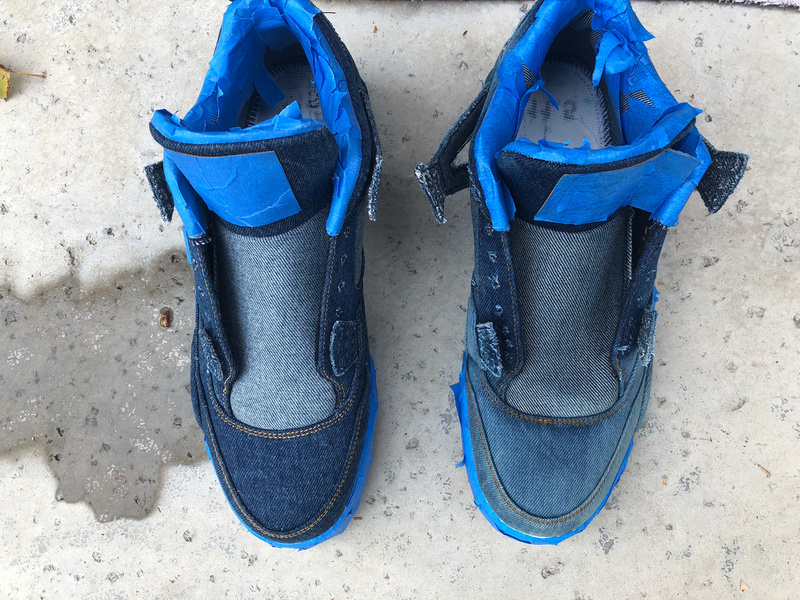 Question for anyone that owns both the blue denim pair in 10.5 and either the white/black denim in the same size. Are your shoe boxes for the blue pairs smaller than the ones they used for the white/black in the same size? Awesome thanks for the reply brother, much appreciated! eBay promo code is live for 15% off. How is the sizing? I ware Jordan 1 in US9.5. Go TTS? Heard they fit a little big?